When you pick up with your story, how much time has passed since the Spider-Queen and her subjects took control of Manhattan? What does the island look like now and what is life like for those who remain? I don't want to give everything away, but almost all human beings are monstrous human/spider hybrids in thrall to the Queen -- except a small resistance force led by Agent Venom [AKA Flash Thompson], the Vision and Spider-Woman. As for how much time has passed, it's not clear, but probably a few months. I understand Flash's band aren't just going up against the transformed civilians of Manhattan, they also have to contend with Man-Spider hybrids of some of the heroes that populated the island. Is that correct? When your story begins Agent Venom is suffering from some guilt and torment over what happened to Spider-Man in his final battle with the Spider-Queen. How does that affect his ability to lead when your story begins? It just adds to the burden. Flash has lost men in combat before, but failing to save his hero, Spider-Man, gives him a feeling of failure and a need for redemption that really drives him. He'll do anything to save whats left of humanity. 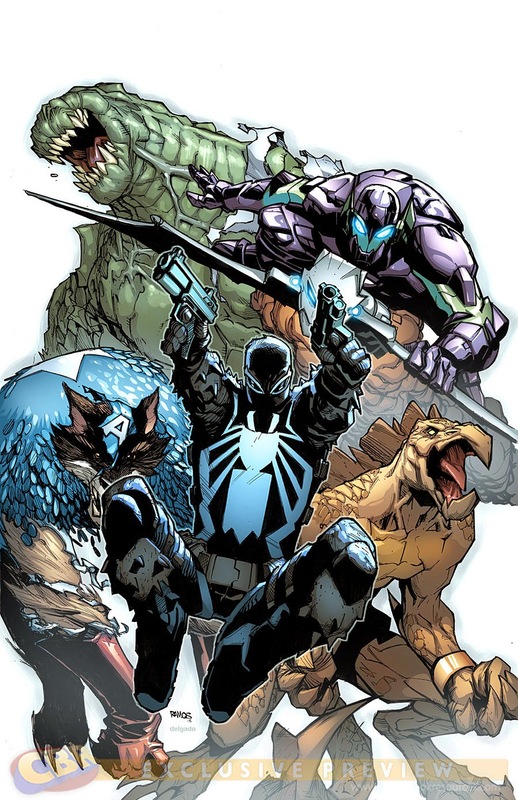 As I understand it Spider-Man is missing and presumed dead, but what about characters like Kaine and Eddie Brock who also played significant roles in the original "Spider-Island?" Do they factor into the story you're telling? We don't want to be slaves to the original storyline, so people who may not have read it or don't remember it can enjoy this one on its own terms. There is no Eddie Brock, Anti-Venom in this world -- he was the cure in the original story, and there's no cure here! As for Kaine, he's presumably one of the spider monsters. There'll be other differences, too. For example, Carol Danvers is Captain Marvel here, not Ms. Marvel, to avoid confusing readers who think of Kamala Khan as Ms. Marvel. Earlier you mentioned Flash has a plan and I imagine we'll see him implement it in "Spider-Island." Can you give us any clues as to what he's scheming? Flash's desperate plan involves adding to the number of allies he has -- and making enemies into allies! Did I mention Capwolf? And Stegron? No? Well, they're here! Head on over to CBR for the full interview. 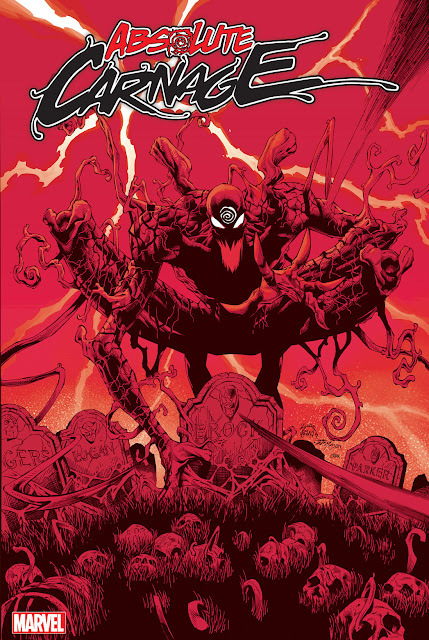 Spider-Island is part of Marvel's massive Secret Wars event and will be available in July.